I’ve always had dry skin — ever since my teen years. Whenever I stop moisturizing my skin — as few as 2 days in a row — the dry, flaky skin starts to reappear on my nose, my hands, and my feet! Now that I’m getting older, I’m starting to pay more attention to anti-aging products and ingredients that can truly prevent dry, flaky skin (mostly on the face, but also on my feet). In addition to learning about the importance of exfoliating, I’ve also educated myself on the 3 main types of moisturizers: body lotions, body oils, and body butters. Then, moisturize your skin with a body oil (and/or a body butter). Should You Hydrate Your Skin Or Moisturize It? For the longest time, I was confused about the difference between skin products that are hydrating vs. skin products that are moisturizing. But I’ve learned that dry skin needs both. Dry skin that is dehydrated looks and feels dull and tight — even after it has been moisturized. When you hydrate your skin, you’re increasing its water content, resulting in healthy, smooth, and plump skin. Hydrated skin makes it less likely to see fine lines and wrinkles. Some good ways to hydrate your skin are to use gentle humectants — like hyaluronic acid, glycerin, honey, or aloe. These help to bind and retain moisture within your skin. Dry skin that lacks moisture looks and feels rough, dry, and flaky. When you moisturize your skin, you’re increasing the natural oils below the skin’s surface in order to protect, lubricate, and nourish your skin. This prevents your skin from drying out. 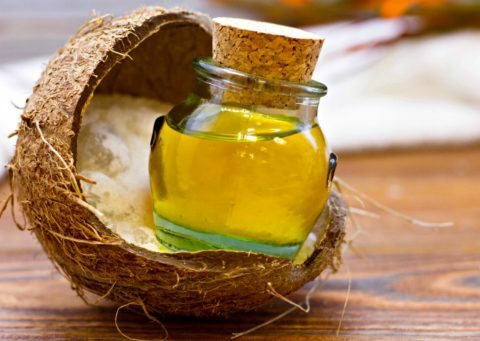 Some good ways to moisturize your skin are to use natural moisturizing oils — like coconut oil or jojoba oil. Oils penetrate deep into the skin and allow your skin to breathe (rather than creating a barrier, which lotions tend to do). Hydrate your skin with a natural humectant first (to increase the amount of water in your skin). Then lock in the hydration with a moisturizing oil (instead of a lotion). I Also Like Body Butter For Extremely Dry Skin! I’ve always used body oils regularly for my dry skin (all over). But I’ve recently started using body butters as well — instead of using body lotions. Body oils closely resemble the natural oils in our skin — so your skin easily absorbs them. A body oil is the most soothing option, as it softens and nourishes the skin while sealing in hydration. A body oil is the best choice for super dry skin. Body butters are thicker and more dense than lotions and oils — so they are more easily and more deeply absorbed into your skin. A body butter is great for dry, flaky skin. Body lotions have a high water content, so they’re much lighter in texture and not as long lasting as body oils or body butters. A body lotion is not the best choice if you have dry skin. TIP: All types of body moisturizers should be applied onto damp skin (like right after a shower or bath). So there you have it!… That’s how to hydrate severely dry skin and lock in moisture using body oils and body butters. If you were hoping to find that there is only one single best moisturizer for dry skin, I’m sorry to disappoint. Extremely dry skin takes patience… and consistency… and a little bit of trial and error. Once you know if your dry skin needs more water or if it needs more oil, then you’ll know the type of products will work best for your skin. Here’s how to determine if your skin lacks water or if it lacks oil.